We’d love your help. 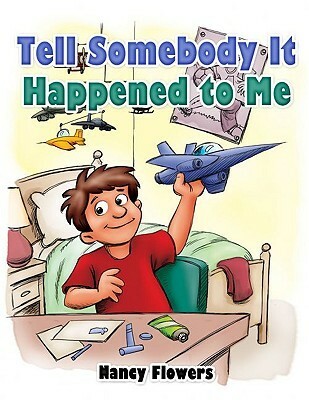 Let us know what’s wrong with this preview of Tell Somebody It Happened to Me by Nancy Flowers. To ask other readers questions about Tell Somebody It Happened to Me, please sign up. This book has much promise. I'm very glad that Nancy Flowers chose to write this book. It is well illustrated and is suitable for children. There is a section for a girl and a section for a boy. The fact is that many children are molested and keep quiet out of fear and shame. This book is written so that we as parents can explain to our children (hopefully before it happens) the reality of sexual molestation and give them the guidance that they need to deal with it. It is a good preventive as well a This book has much promise. It is a good preventive as well as an encouragement for children to be unafraid to tell if it does happen to them. Nancey Flowers is the author of the #1 Essence bestselling novel Shattered Vessels. She also penned No String Attached and A Fool's Paradise, and contributed to Proverbs for the People and I Didn't Work This Hard Just to Get Married. Nancey lives in Brooklyn, New York with her husband, Michael. She's presently working on the sequel, He's Still My Man.